DISC is a basic and user-friendly theory of human behaviour. It gives people a common language to better understand themselves and others. It does not judge good or bad, or right or wrong. Each of us has all four DISC styles. The DISC assessment reveals which behavioural styles are more comfortable for us (natural) and which take more energy (not natural). A person’s DISC profile does not limit what he/she can accomplish or how successful he/she can be. It simply predicts how he/she tends and prefers to do things. We can find successful people and leaders in all of the four DISC types. However, the most successful people know who they are. They are aware of their strengths, but they are also aware of the areas they need to develop. They modify their style fittingly with different styles of people and in different situations. None of the styles are better or worse. They all have strengths and areas that need to be developed. The strengths and development areas are just different. After someone completes the DISC test (a brief series of questions) a detailed assessment report is created. The report focuses on the person's natural behavioural style. In addition, it highlights how to achieve useful behavioural change for improved performance and a more fulfilling life. The report is built on a very practical, 4-step process that will help everyone to build and sustain more successful relationships and outcomes with others. This 2 - 3.5 hour in-person interactive session at your offices (length varies based on number of attendees and number of interactive exercises included) will introduce DISC, what the styles are, and how they can impact working relationships, group projects, communications, and decision-making. Everyone will receive a printed copy of their report (32 pages) and we will talk about how different styles interact with one another. Those who wish to disclose their styles can take a more active part in the conversation as we explore how the assessments might impact ways of working together effectively. Please contact us to get a quote specific to your organization and the size of your group. You can email us at lara@larawellman.com or book a consultation. 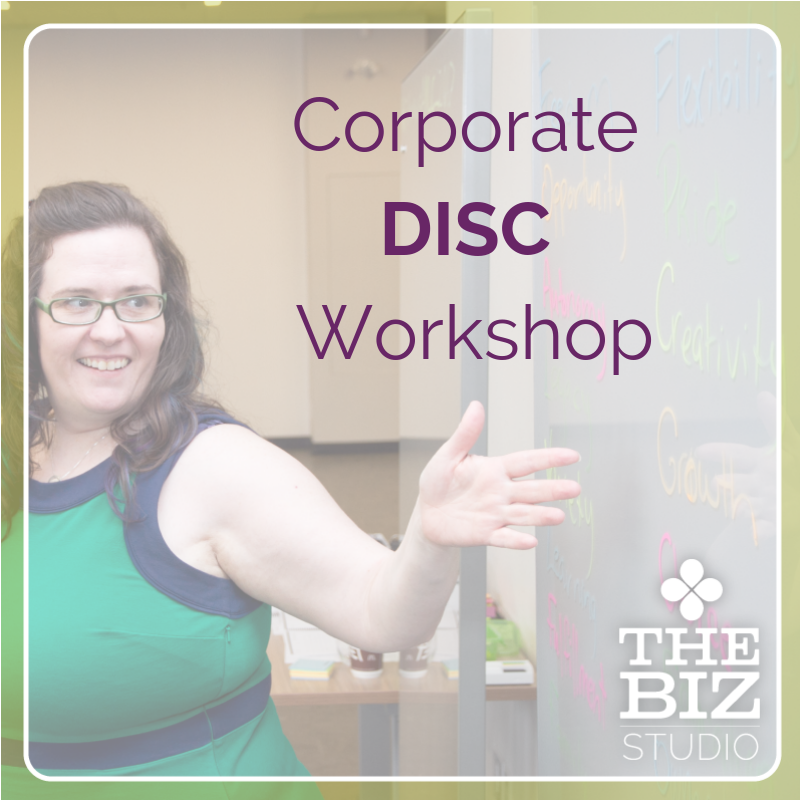 This full day interactive presentation at your offices begins with the introduction to DISC workshop and then we spend the rest of the day working through hands on exercises that focus on communication and team work within your office. Fully understanding how to adapt based on your own personal preferences and how others communicate, make decisions and work together, can lead to better productivity and happier teams. We also custom pick additional trainings and topics to discuss, including productivity, sales, customer service, leadership, goal setting, on boarding new team members, team meetings and group projects. Please contact us to get a quote specific for your organization and the size of your group. You can email us at lara@larawellman.com or book a consultation.